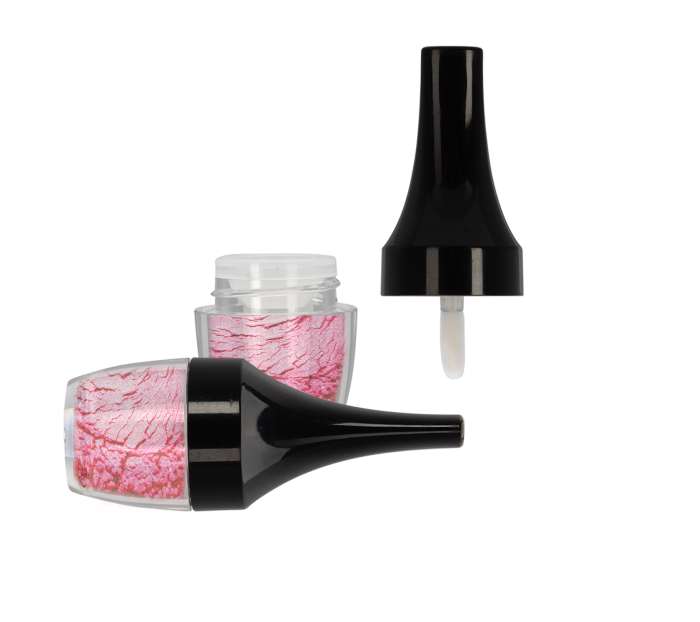 Toly developed the TK51, a 2ml lip gloss pack, which echoes with the trend of mini-packaging that's causing a hype in today's market. This innovative packaging is ideal for trending lip products such as melting lip powders, a current favorite which is applied as a powder, and melts into a tint. The quirky shape allows your lip gloss pack to stand out from the rest and is ideal for the woman on the go due to it's compact size. The bottle is moulded in PETG, whilst the cap is ABS. Further customisation can be achieved through a variety of different techniques.